There are group cycles which are informal and organised by club members on most Sundays, please keep an eye on our facebook page for a note of these. Routes are posted in advance on the facebook page. 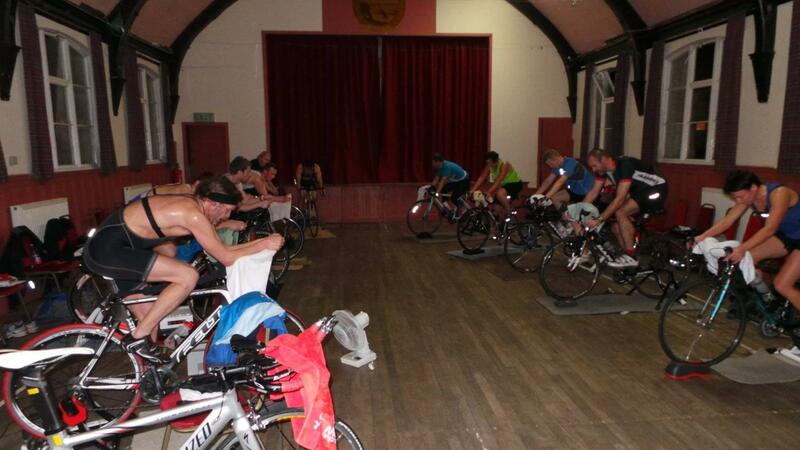 As these are not coached sessions, as such you are cycling under your own responsibility. These groups naturally split into slower and slightly faster paced groups. A reminder to those planning on coming along or are coming along for the first time, please be prepared for our ever changing Scottish weather conditions, have a look at the forecast the night before and bring any gear with you that you think you’ll need as well as any food and drink that you’ll need. Most importantly of all NO helmet, NO cycling! Static Bike Sessions take place during the winter months at the Academy of Sport and Wellbeing, Perth College - WINTER MONTHS. The first static bike session will start on Tuesday 9th October 2018 and every Tuesday thereafter until end Feb/March (TBC). The cost is £3 per sessions and numbers are limited depending on number of coaches attending. See our club members Facebook page for updates/to confirm whether you are attending the session or not. First come first served basis.